Developing bulletproof vests using stem cells? Stem cells demonstrate a bizarre property never before seen at a cellular level, according to a new study published today by researchers at the University of Cambridge. The property -- known as auxeticity -- is one which may have application as wide-ranging as soundproofing, super-absorbent sponges and bulletproof vests. Most materials when stretched will contract. For example, if one pulls on an elastic band, the elastic itself will get thinner. The opposite is also true: squeeze a material and it will expand -- for example, if one squeezes a tennis ball between both hands, the circumference around the ball gets larger. However, material scientists have begun to explore auxeticity, an unusual property which has the opposite effect -- squeeze it and it will contract, stretch it and it will expand. This means that auxetic materials act as excellent shock absorbers or sponges, a fact that is being explored for various uses. Until now, auxeticity has only been demonstrated in humanmade materials and very rarely in nature, such as some species of sponge. 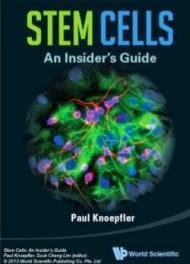 But today, in a paper published in the journal Nature Materials, a team of University of Cambridge researchers including biologists, engineers and physicists, report having observed auxeticity in the nuclei of embryonic stem cells, master cells within the body which can turn into any other type of cell. Dr Kevin Chalut from the Wellcome Trust-Medical Research Council Cambridge Stem Cell Institute, who led the study, says: "This is a pretty bizarre finding and very unexpected. When the stem cell is in the process of transforming into a particular type of cell, its nucleus takes on an auxetic property, allowing it to 'sponge up' essential materials from its surrounding. This property has not, to my knowledge, been seen before at a cellular level and is highly unusual in the natural world." The auxetic properties only appear in the stem cell's nucleus when it is in the transition stage, changing from an embryonic, non-specific stem cell into a differentiated, tissue-specific cell, such as a heart tissue cell. Dr Chalut and colleagues treated the transitioning cell's cytoplasm, the fluid surrounding the nucleus, with a coloured dye and found that when they stretched the nucleus, it absorbed the dye, suggesting that it had expanded to become porous. It is possible that it does so to absorb molecules from the cytoplasm or environment which would help the cell differentiate. Auxetic materials are of great interest to material scientists and engineers and this new discovery may provide clues to different methods of manufacture. The vast majority of known auxetic materials are highly ordered, such as the auxetic honeycomb. However, some examples of disordered auxetic materials are known -- for example, if one pulls both ends of a scrunched up ball of paper, the circumference around the ball expands. The nucleus of the transitional stem cell is likewise disordered. "There is clearly a lot we can learn from nature. We are already seeing auxeticity explored for its super-absorption properties, but despite great technological effort, auxetic materials are still rare and there is still much to discover about them in order to manufacture them better. To overcome this, materials scientists can do what has become de rigueur in their discipline: they can learn from nature. Studying how auxeticity has evolved in nature will guide research into new ways to produce auxetic materials, which might have many diverse applications in our everyday life." added Dr Chalut.